The FEI is promising it will fast-track new rules to protect endurance horses if upcoming scientific findings identify a need, as it tackles ongoing problems within the sport in the United Arab Emirates (UAE). Endurance in the UAE remains mired in controversy after a series of horse deaths this season and a string of positive drug tests under the FEI’s anti-doping rules. Ongoing problems within UAE endurance in recent years have centered around horse welfare issues. The region’s fast desert courses, substantial prizes and jockey-style riders have contributed to the problems, in the eyes of some critics. The region has also faced condemnation at times over what some consider to be a loose interpretation of the sport’s rules. Now, FEI Secretary General Sabrina Ibáñez has provided an overview of measures to be implemented by both the FEI and the UAE Equestrian Federation to address what the world governing body calls serious horse welfare issues in UAE Endurance. It follows the deaths of seven horses in the UAE in the last four weeks – six at national Endurance competitions and one at an FEI event. And today, the FEI broke news of seven adverse analytical drug findings. Ibáñez said immediate action was required from the UAE federation. “I asked the UAE National Federation to urgently put in place measures that would specifically address the situation in the UAE and we welcome the speed with which they have responded to these very serious issues,” she said. Findings of studies that the FEI is undertaking will first be presented to the Sports Forum in April and then in more depth during the Endurance Forum in Barcelona in May. It was hoped the findings would help determine the causes so that action could be taken to prevent similar tragedies in the future, Ibáñez said. A session dedicated to risk factors and bone injuries in Endurance will be held at the FEI Sports Forum in Lausanne on April 11. Initial findings of the Global Injuries Endurance Study, conducted by Dr Tim Parkin and Dr Euan Bennet of Glasgow University, will be presented. Dr Chris Whitton, from the University of Melbourne, will present on bone fatigue. “If, following presentation of the scientific data, there is a clear consensus on immediate actions to be taken, I will propose the use of emergency procedures to speed up the implementation of new rules, as we have done previously when faced with similar issues,” Ibáñez said. The FEI will also host a series of meetings with trainers and team veterinarians in the UAE to address the high level of catastrophic injuries in the region. Requirement for stables involved in equine fatalities to provide the full medical history for each horse and any medication administered; details of the horses’ nutritional programmes and training schedules, including the methods used, the hours of training and distances covered, the timing and venue conditions. A study of each Endurance course in the region, including a detailed assessment of track conditions. Inspections at all remaining Endurance events in the 2017 UAE season conducted by an expert panel of Endurance course specialists and experienced veterinarians, including the FEI Veterinary Director. 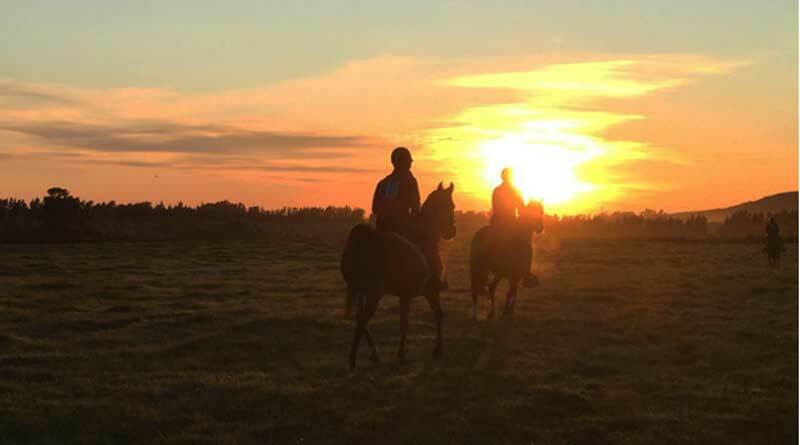 Increased sanctions for those responsible for injury to horses, including imposing maximum permissible fines (€15,000 per offence) and penalty points. Expanded scope of individuals that can be held accountable, in addition to trainers and veterinarians. “The new senior management at the UAE National Federation, who met with the FEI President last month, is far more engaged and transparent than the previous administration,” Ibáñez said. “We are hopeful that, through their continuing cooperation with the FEI, together we will make dramatic improvements in addressing the causes of these injuries and the high levels of positives. Meanwhile, the FEI has announced seven adverse analytical findings involving prohibited substances in UAE Endurance events. The horses were tested at four different events at the Al Wathba venue in Abu Dhabi. All seven horses have tested positive to the same four prohibited substances, the stimulant caffeine and its metabolites theophylline, theobromine and paraxanthine. Equally, theophylline, used for the treatment of asthma and various respiratory diseases, can be metabolised to caffeine. Theophylline, caffeine and theobromine are listed as Controlled Medication and Specified Substances under the FEI’s Equine Anti-Doping and Controlled Medication Rules. Paraxanthine is a Banned Substance under the rules. Samples taken at the CEI2* 120-kilometre ladies ride at Al Wathba, Abu Dhabi (UAE) on November 26, 2016, from the horse Rafik de Kerpoint, ridden by Amy Louise McAuley, tested positive for all four substances. The horses Castlebar Lightning, ridden by Saeed Sultan Shames Al Maamri; Intisaar, ridden by Sheikh Rashid Dalmook Al Maktoum; and Mraseel, ridden by Sheikh Hamed Dalmook Al Maktoum, in the CEI2* 120-kilometre ride at Al Wathba on December 17 last year tested positive for the four substances. The horse Mraseel also tested positive for flumetasone. The horse Salam Banquetol, ridden by Abdulla Ghanim Al Marri to finish second at the CEI2* 120-kilometre event at Al Wathba on December 24, tested positive to all four substances, as did both Tom Jones TE, ridden by Abdulla Ghanim Al Marri, and Aspenview Amir, ridden by Saeed Ahmad Jaber Al Harbi at the CEI2* 120-kilometre event at Al Wathba on January 14. The seven athletes and the trainers Ismail Mohd, Khalifa Ghanim Al Marri and Mohd Ahmed Ali Al Subose have all been provisionally suspended from the date of notification (January 30). The seven horses are also suspended for a two-month period from the date of notification. Ibáñez said: “We take all breaches of the FEI anti-doping regulations extremely seriously and these latest positives demonstrate clearly that those using prohibited substances will be caught. The FEI’s Prohibited Substances List is divided into two sections – Controlled Medication and Banned Substances. Controlled Medication substances are those that are regularly used to treat horses, but which must have been cleared from the horse’s system by the time of competition. Banned (doping) substances should never be found in the body of the horse. The FEI has also introduced the concept of Specified Substances. Specified Substances should not in any way be considered less important or less dangerous than other Prohibited Substances. Rather, they are simply substances which are more likely to have been ingested by horses for a purpose other than the enhancement of sport performance, for example, through a contaminated food substance. 11 horse deaths for the season so far.